Rasa Flow Yoga in Port Coquitlam offers professionally taught yoga classes for all levels, from the beginning student to the experienced. If you’ve been thinking about joining a yoga class or learning more about whether yoga is the right path for you, take advantage of a trial membership at Rasa Flow Yoga and test out the waters. Trying out the different classes will help you determine what is a good fit for you! Whether you are suffering with migraines, chronic back pain, insomnia, arthritis, or are just looking for a way to relax and enjoy life to the fullest, you’ll find yoga to be just the thing to add a new dimension to your life. Many who practice yoga find that they are no longer dependent on pain killers, sleep aids, and other medications for anxiety and depression. 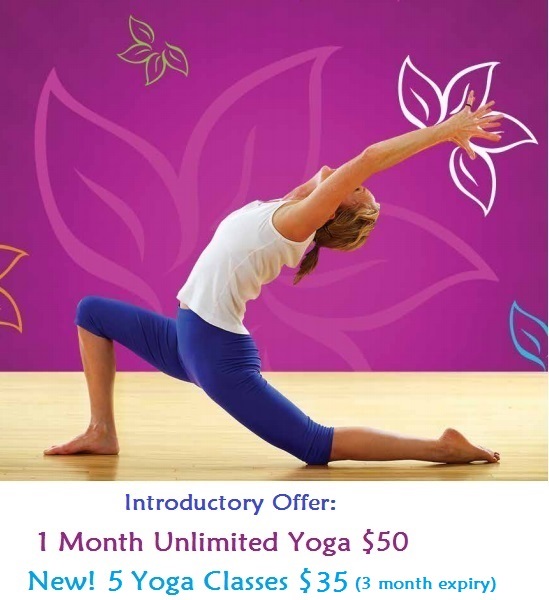 Rasa Flow Yoga in Port Coquitlam offers traditional yoga that focuses on posture, breathing practice and meditation. Your membership is valid for both of the Rasa Flow locations that include the Water Studio in North Vancouver and the Earth Studio in Port Coquitlam. You can register for classes online at rasaflowyoga.com and save yourself the hassle of filling out paperwork when you come in to the studio. - Yoga has been shown to boost the body’s immunity, and the longer term it is practiced, the greater the boost. As your body learns to breathe, move and circulate blood properly, all of the organs begin to improve their function as well. - Although the medical world is still struggling to understand many things about why some people suffer with migraines, and what triggers them, one thing has been proven- yoga practice reduces the severity and frequency of migraines in those who are prone to them. - If you’re one of the tens of millions of people across the globe who struggle with falling asleep at night, and staying asleep, you’ll find yoga to be very accommodating. Twice-weekly yoga sessions greatly improve the level of sleep that practitioners enjoyed; and yoga has another benefit to sleep- it regulates the body’s sleep cycle, so that the body actually learns when it’s time to go to sleep, and how long it is supposed to remain there. Yoga helps the mind unwind and the body find relaxing, restful sleep. - Routine yoga practice creates a greater awareness of the connection between our emotions and eating. Yoga breathing exercises can help fight off food cravings and assist in making better choices when it comes to food. To learn more about the Yoga classes available at Rasa Flow Yoga in Port Coquitlam, please visit online at rasaflowyoga.com, or call the studio at 604-971-5230. 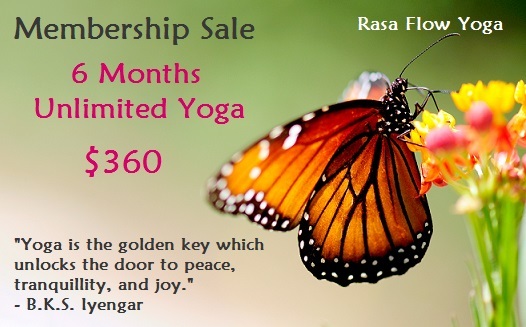 You’ll love the revitalizing, peaceful, non-judgmental and welcoming atmosphere at Rasa Flow Yoga Studio. Come in and see for yourself! register for class & shop online! Memberships are valid in both locations!